Western Digital on Wednesday announced that it had begun to ship its HGST Ultrastar He12 hard drives with 12 TB of capacity. The HDDs are the first drives to employ eight platters, so the fact that Western Digital is now shipping them is important not only for its datacenter customers who need massive storage capacities, but also because the drive represents a significant step forward from a technology point of view. The HGST Ultrastar He12 is based on Western Digital’s fourth-generation HelioSeal technology, which uses eight perpendicular magnetic recording platters with 1.5 TB capacity each. To add the eighth platter, Western Digital had to redesign internal components of its HDDs (including arms and heads) significantly. In addition, the company increased areal density of the platters, which improved the sequential read/write performance of the new hard drives. 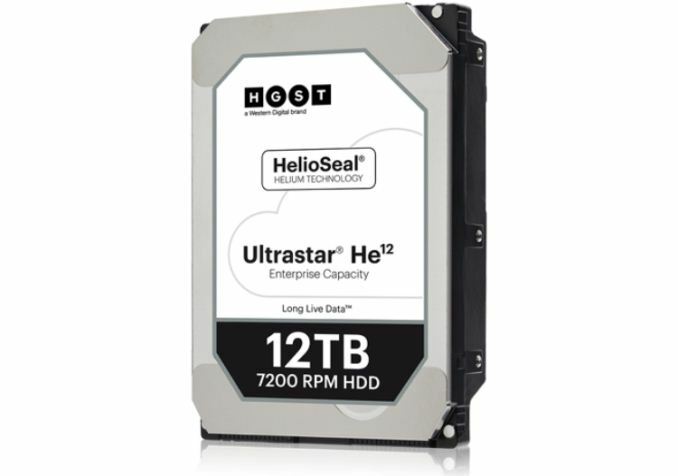 In particular, Western Digital claims that the HGST Ultrastar He12 has a sustained transfer rate of 255 MB/s, an average latency of 4.16 ms, as well as an average seek time of around 8 ms.
Just like other enterprise-class nearline drives, the Ultrastar He12 features a 7200 RPM spindle speed as well as all the technologies currently found in such hard drives from HGST, including a special micro-actuator that improves the accuracy of head positioning in multi-drive environments (which naturally improves performance, integrity, and reliability), rebuild assist mode to speed up RAID recovery time, and others. Finally, the new drives have SED options as well as Instant Secure Erase feature so to either quickly redeploy or retire a HDD. The increase of hard drive capacity by 20% to 12 TB brings substantial benefits to operators of cloud and exascale datacenters because such HDDs enable them to boost their storage capacity by 20% (or more, assuming that they are using drives with lower than 10 TB capacity today) without expanding footprint of their building or significantly increasing their power consumption. For example, a standard server rack can store 2400 TB of data if fully populated with 10 TB HDDs today. Meanwhile, if 12 TB hard drives are installed into the same rack, its total storage capacity increases to 2880 TB at the same power and at the same space. 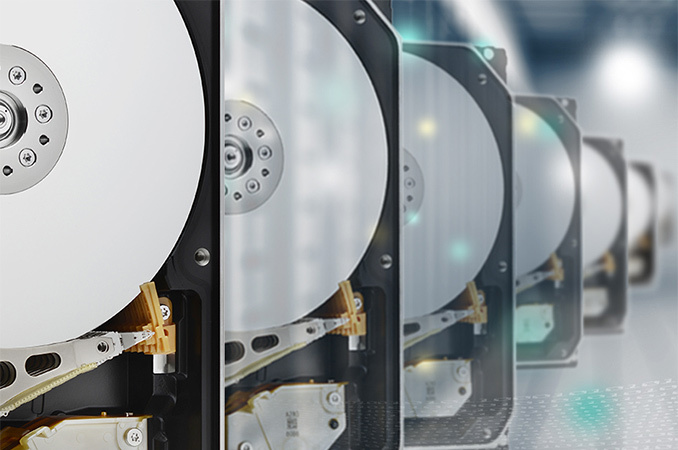 Since Western Digital’s HGST Ultrastar He12 are aimed at large enterprises, the company does not advertise their recommended prices; the prices customers will pay depends on the number of drives purchased as well as some other factors. Since Western Digital will eventually offer helium-filled HDDs with eight platters to other kinds of customers too, so once this technology trickles down the general public will be able to take advantage of the fourth-generation HelioSeal platform as well. Later this year Western Digital plans to start shipments of its HGST Ultrastar He12 drives featuring shingled magnetic recording (SMR) platters and 14 TB of capacity. These drives are designed primarily for archival applications, where data is written sequentially in huge chunks (and is hardly ever updated) and where the peculiarities of SMR do not have a major impact on performance. The upcoming SMR HDDs will have to be managed by their hosts and therefore far not all customers of Western Digital are going to be able to take advantage of them.